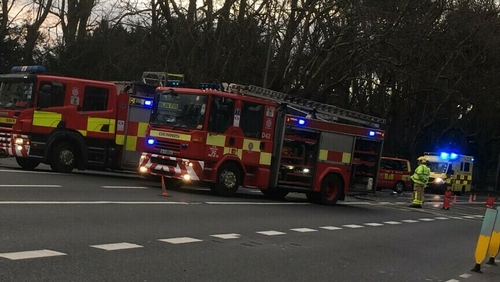 A man and a woman have died in a two-car collision in Drumcondra in north Dublin. The incident happened on the Drumcondra Road at the junction of Hollybank Road at around 6am. Gardaí said the drivers of both cars - a man in his 70s and a woman in her 30s - were killed in the crash. The road was closed for several hours this morning for a technical examination, but has since reopened. Gardaí have appealed to any witnesses or to anyone who may have dash-cam footage of the incident or who was on Drumcondra Road Lower between 5.45am and 6.15am to contact Mountjoy Garda Station on 01 6668600, the Garda Confidential Line on 1800 666 111 or any garda station.